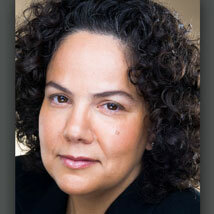 Nancy Sutley, Board of Trustees Chair, also serves as a General Public Representative. Formerly the lead of the White House Council on Environmental Quality, Ms. Sutley was a chief architect of President Obama’s Climate Action Plan, preparing the U.S for climate impacts and leading international efforts to address climate change. Prior to her work in Washington DC, she served as Energy Advisor for California Governor Gray Davis and served on the State Water Resources Control Board. Currently, Ms. Sutley is Chief Sustainability and Economic Development Officer at the Los Angeles Department of Water and Power, the nation’s largest public utility. Ms. Sutley joined the board in 2014.